As Rick James said, “cocaine’s a helluva drug.” Federal crack-cocaine defendants can tell you it is much more dangerous than even Rick knows. Crack-cocaine is the most harshly treated drug in the Federal criminal system. However, the Fair Sentencing Act of 2010 modified the super-unjust 100-1 crack-to-powder ratio for Federal guidelines and mandatory minimum sentencing purposes. 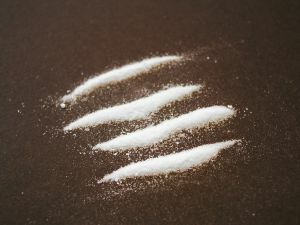 Under the old law, drafted in the 80s during the so-called “crack cocaine epidemic,” the drug known as the cheap inner-city minority drug was punished by law 100 times more harshly than powder cocaine, known as a white, upscale drug. So, a person possessing or delivering 5 grams of crack-cocaine would face the same 5 year mandatory minimum sentence as a defendant possessing or delivering 500 grams of powder cocaine. However, the new law reduces the crack-to-powder ratio from 100-1 to 28-1, so only about a fourth as racist as before. There is no evidence to my knowledge, and I cannot conceive, that crack is 28 times as addicting as powder. Twice, maybe three times is possible because Crack is a more pure form of the drug. But, crack cocaine defendants in the Eastern District of Texas, primarily minorities forum-shopped from the Dallas Division to the very Conservative Sherman Division, can sleep slightly better at night. The act was silent on whether it applies retroactively, i.e. to people already sentenced under the old laws. If you or a loved one is facing harsh criminal law treatment, please call me at 903-744-4252 for a free consultation.